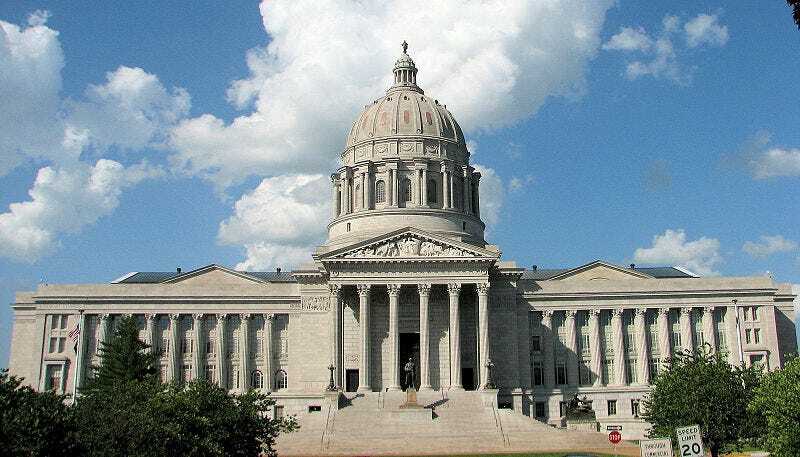 A Missouri state representative wants a 1 percent sales tax levied on "violent video games" sold in the state, despite the fact similar efforts to tax specific games based on their content failed in other states, including most recently Oklahoma, Missouri's better-looking cousin. Diane Franklin, of Camdenton, Mo., said the 1 percent tax would finance law enforcement measures and mental health programs. The Associated Press notes that both the state's Democratic governor, and the Republican majority controlling the general assembly, oppose any new taxes. Franklin is a Republican. Her proposal is assuredly motivated by national concern over mass shootings such as the one a month ago in Newtown, Conn.
Last year, an Oklahoma state lawmaker—this one a Democrat—proposed a similar tax on video games rated T or stricter, reasoning that "Violent video games contribute to some of our societal problems like obesity and bullying," he argued at the time, "but because they raise a lot of revenue, they can also provide part of the solution." That proposal was shot down in committee as more senior lawmakers questioned its usefulness or validity.